May 9th - NCDPI requiring Multi-Factor Authentication (MFA) for NCEdCloud LEA Administrators and LEA Data Auditors Get more information on the NCEdCloud MFA rollout page. LEAs that wish to add additional Applications can check what's available and fill out a Request Form on the Target Applications page (you must have the LEA Administrator role to submit a request). 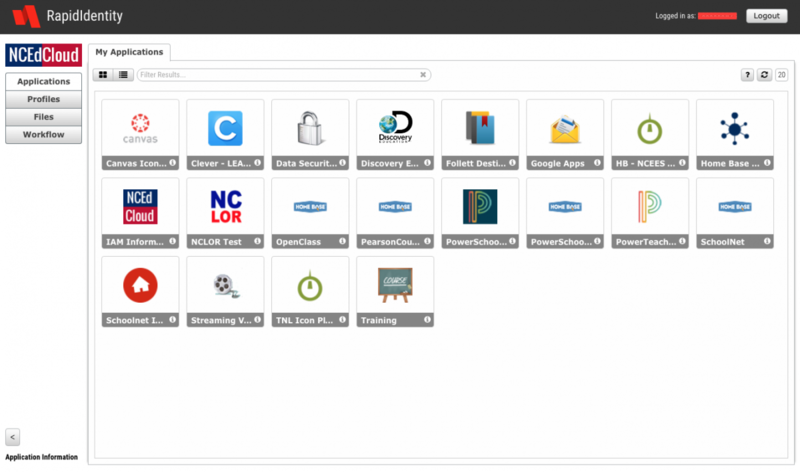 FAQ item: Why did some of my employees disappear from the NCEdCloud IAM Service? How Do I Access the NCEdCloud IAM Service? The quickest way to access the IAM Service is to type my.ncedcloud.org into your browser window and go there directly. 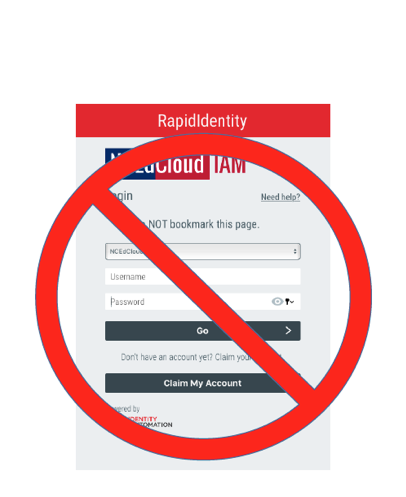 If you want to BOOKMARK the IAM Service Rapid Identity Portal, DO NOT bookmark the Login Screen where you enter your username, but once you get to the Rapid Identity Portal (where your Application icons show up) you can bookmark THAT page. Then whenever you want to go to the IAM Service you can click on that bookmark and you will be taken to the portal. If you click on the bookmark and you haven't logged in yet, you'll get the login screen first and then be passed through to the portal. Don't Bookmark This! BOOKMARK THIS!